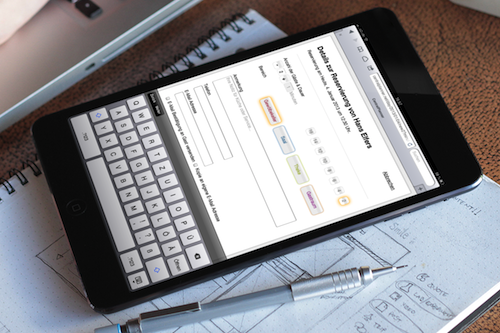 Our reservation book takes care of your reservations and guest data. 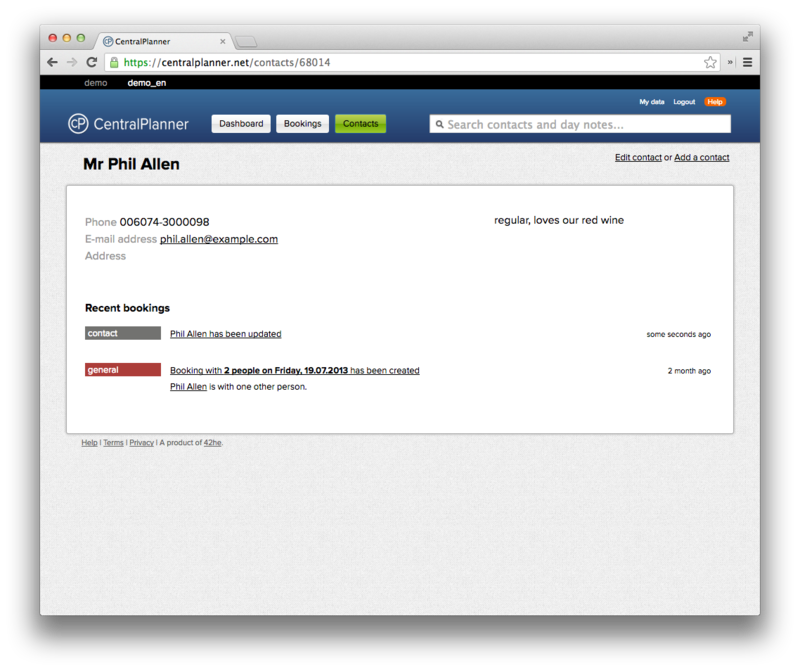 CentralPlanner manages your reservations and replaces the traditional reservation book. 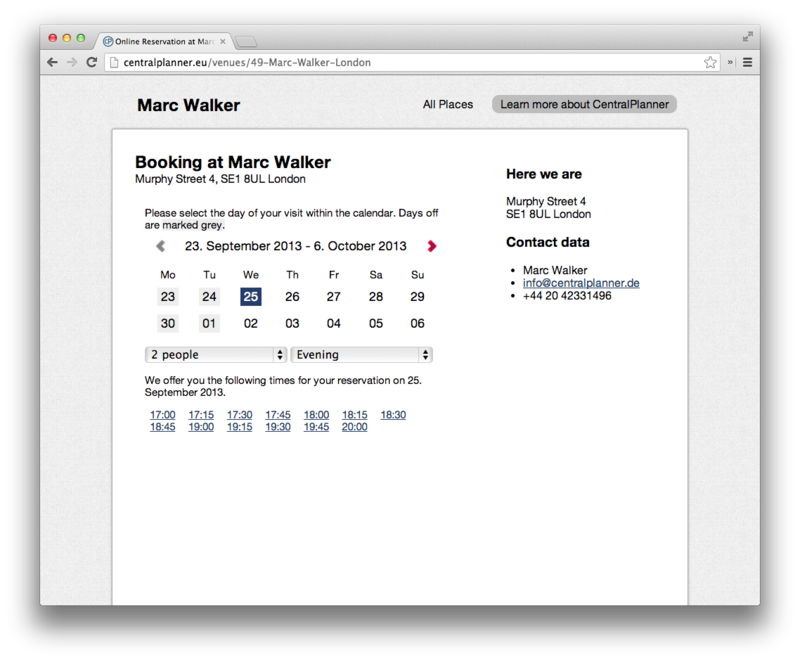 CentralPlanner is your easy online reservation book. A reservation book without the traditional book. Online and always available. Forget the reservation book made out of paper and explore the advantages of a digital reservation book which offers a permanent availability of the reservations and guest data. You do not have to start a new book at the beginning of every year - you can build a long-term history for any of your guests as long as they placed reservations more than once. 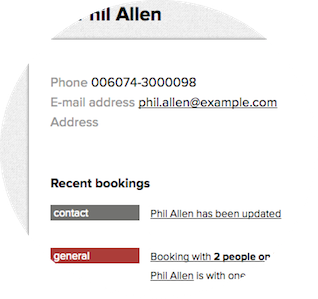 CentralPlanner is an especially easy reservation book and is used at restaurants, but also at fitness centres and hairdressers. 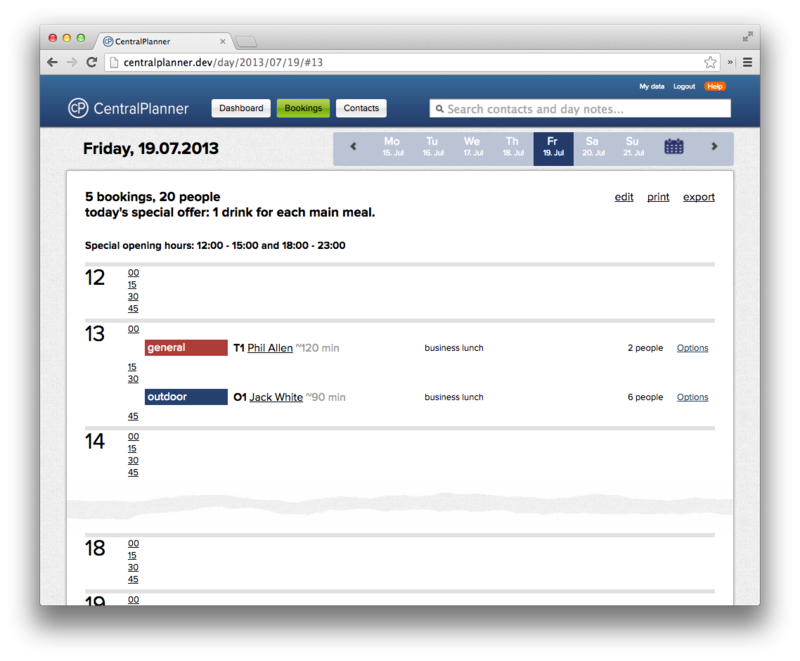 Since it is a web-based reservation book you can use CentralPlanner on any web-enabled device. 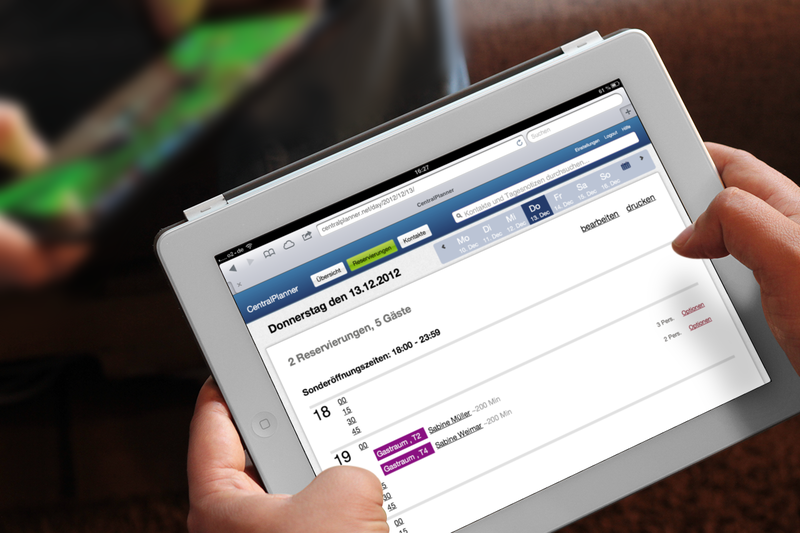 At your restaurant you can access your reservations via iPad or computer, but you can also easily check your workload for the next weeks at home on your sofa. The access from your smartphone, e.g., iPhone, is also possible. Since all data is saved online, synchronizing your devices is not needed because the current status of all reservations is always and anywhere available. Give our reservation book a try and run our 30-day free trial. No risks, no obligations at your hand. The trial ends automatically. Cancel any month and you never need to pay again. Your data is save and secure at our data center. We are at your side when you need help. 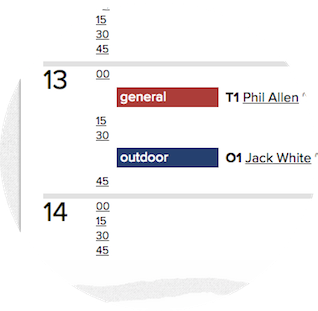 Use CentralPlanner on PC's, Mac's, iPads and many more. 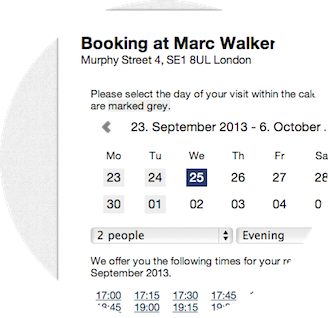 Accept bookings on the go and stay up to date.